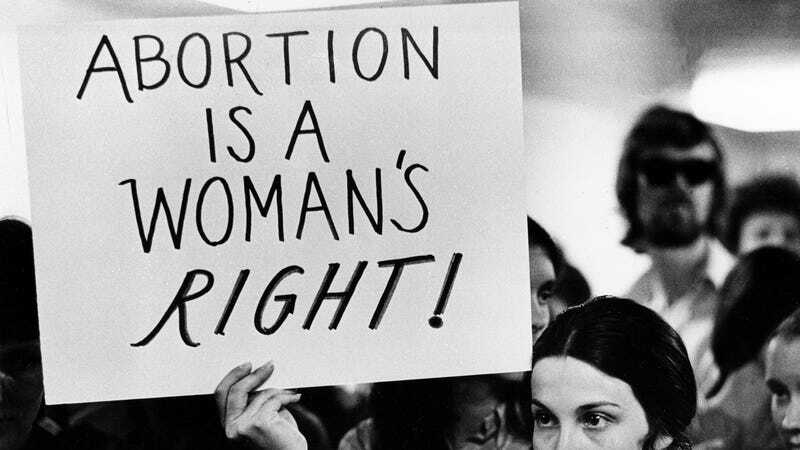 There are currently two different movies being made about the underground, Chicago-based collective Jane, which performed nearly 12,000 illegal abortions in the ’60s and ’70s before Roe v. Wade. Jane started in the 1970s as a referral service for women who needed to get in touch with a doctor, but the costs of getting an illegal abortion back then were enormously high. Soon the Jane collective became a group in which members with barely any medical training were performing affordable surgical abortions on women or even inducing miscarriages. The 1996 documentary Jane: An Abortion Service explored the collective’s history in-depth but now, in a particularly fragile time for abortion rights, we’ll be getting new movies on the subject. First there’s the indie effort Ask For Jane, written and directed by Rachel Carey, and starring Cait Johnston, Alison Wright (The Americans), Sarah Ramos (Parenthood) among others. The movie, which is based on a limited series they made in 2016, is produced by Caroline Hirsch and will even include a cameo from Judith Arcana, who was a real member of The Janes and is acting as a consulting producer on the film. And the other is This Is Jane, written by Dan Loflin and based on Laura Kaplan’s 1995 non-fiction book The Story of Jane: The Legendary Underground Feminist Abortion Service, and picked up by Amazon earlier this year. It’s produced by a bunch of men. So, pick your poison. But considering our current administration I’d say the more media we can get about underground abortion collectives, the better!